On the evening of Friday 21st March 1941 an RAF bomber of 49 Squadron crashed onto Hameldown, Dartmoor killing all four crew members on board. To commemorate the 74th anniversary of the crash a special event will take place at Higher Cemetery, Exeter on Saturday 21st March 2015. Two of the crew, Robert David Wilson (the Pilot), and the 2nd Pilot/Navigator Sergeant Richard Leonard Ashburton Ellis (who came from South Africa) are buried side by side at the Higher Cemetery. 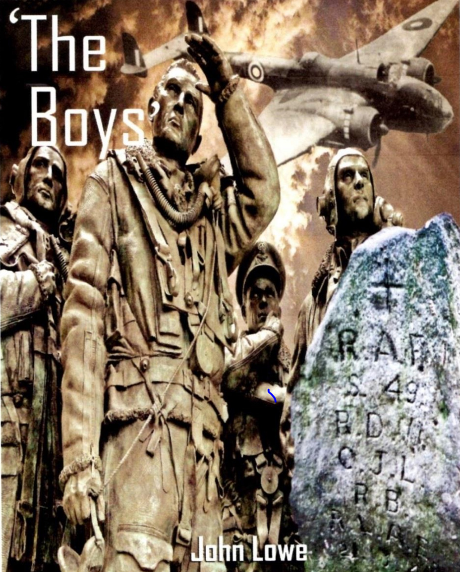 John Lowe, a former member of the RAF, has researched full details of the crew, the aircraft and the crash since he found the memorial to "The Boys" on Hameldown Tor. In 2014 he was interviewed by the BBC Countryfile programme. John will be present at the cemetery on 21st March at an event hosted by 'Friends of Higher Cemetery'. At 1.30pm there will be a ceremony at the graves which are located in the 2nd World War Commonwealth War Graves site close to Hamlin Lane. Also present will be two relatives, the niece and Great-Niece of Richard Ellis who will lay a replica of the wreath that was laid at the two graves in 1941. They will also be accompanied by Fred Hill DFC, a former member of 49 Squadron, now aged in his nineties. Also present will be Sqn Ldr Hugh Pierce of the RAF who will lay a bouquet at the graves. After a moment of reflection and silence, the group will walk to the cemetery chapel (close to the St Marks Gate entrance of the cemetery) where John Lowe will give a talk about 'The Boys' to an audience that have already purchased tickets. Visitor £3, child £1 (half price for Friend of Higher Cemetery members). Children under 16 must be accompanied by a responsible adult.